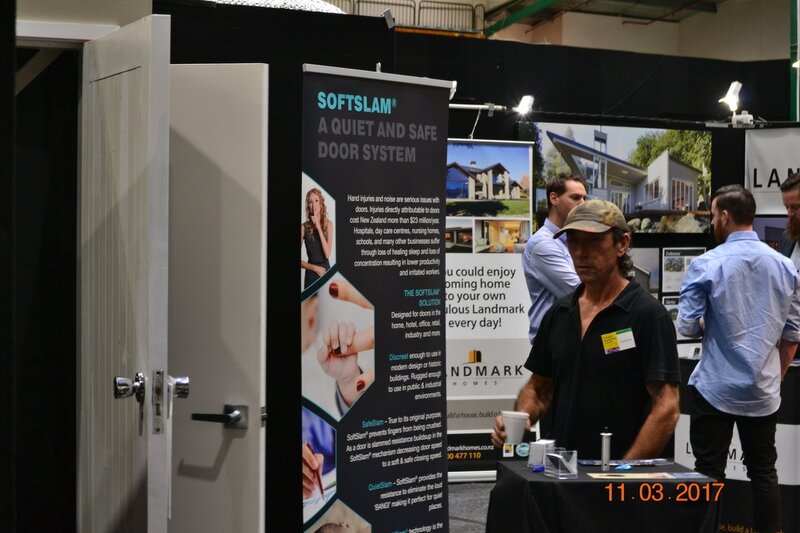 SoftSlam is the revolutonary new door hardware that can reduce door injuries caused by slamming doors which are hazardous doors. SoftSlam reduces the forces of a slamming door to the gentle forces of a normally closing door. Dangerous doors are tamed, making a safe door, reducing child door inures and pet door injuries. Doors stop slamming because the forces have been absorbed. Even the loudest doors are hushed with the gentle closing speeds making your home the peaceful, relaxing environment that you deserve. When used in conjunction with a door closer, the noise is removed but the operation remains the same. SoftSlam flier. Stop doors slamming. Protect your home and your children from dangerous slamming doors. Immense forces build up in a door slam. These forces can do great damage to yourself, your family, and your home; causing child door injuries, pet door injuries, and structural door damage. Hard slamming doors can result in broken glass, damaged door frames or cracked plaster which all result in preventable repair costs much greater than the cost of a SoftSlam. SoftSlam prevents door injuries and door damages by absorbing the energy of the door before it strikes a hard surface such as a person or the door frame. Protect children and pets from door injuries. Dangerous Force - Doors build up forces of up to 40 tons when they are closed. Wind alone can create enough force to break or even sever a finger. You can try this at home. Get a stick, a carrot or a pencil and place it in your door. Make sure that all body parts are clear before slamming the door. This method of demonstrating how dangerous a door can be is a great way of teaching children not to play with doors. But, children playing with doors is not the only way harm can occur. When a body part is caught in a door, no one will say "She'll be right". Usually, such accidents end at the emergency room and can result in amputation. Passive door slam protection prevents most unforeseen accidents. SoftSlam absorbs the energy of a closing door. Allowing the door to close softly and gently, without drama. Disclaimer: SoftSlam will not prevent all door injuries. Please use care when operating a door.